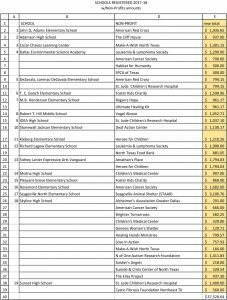 Students who attend schools across Dallas ISD convened on Wednesday, Feb. 28, for the annual check presentations in the Common Cents Dallas “Pennies from the Heart” campaign. The program charges student-led teams with raising funds for charities of their own choosing. More than 200 students from 19 Dallas ISD schools participated this year. Common Cents grew from an idea proposed in 1988 by late Dallas philanthropist Louise Gartner. Every penny collected benefits the charities chosen by students, who also lead all the fundraising efforts. 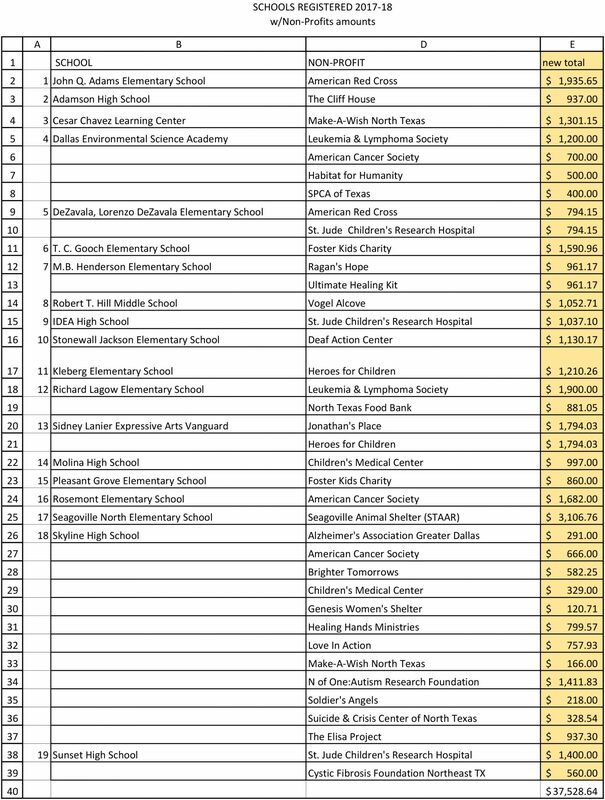 Now in its 20th year, Dallas ISD students have raised and donated more than $875,000 during the life of the program. For the 2017-2018 school year, students raised more than $37,000. Students’ efforts are guided by campus sponsors. Sally Anderson sponsored students this year at Seagoville North Elementary School. A $3,000 scholarship named after Common Cents founder Louise Gartner went to Dexter Law, a student at Skyline High School. His school also raised the most total money – more than $6,000. The value of learning the importance of giving goes beyond the dollars.